A major challenge for Colleges is the limited number of insurers interested in providing cover for education risks. Because of the restrictive market, there are limited options available making it more a sellers’ market. ERA Insurance Cost Management Ltd (ERAICM) has been very successful in redressing the balance for other sectors facing similar market conditions. 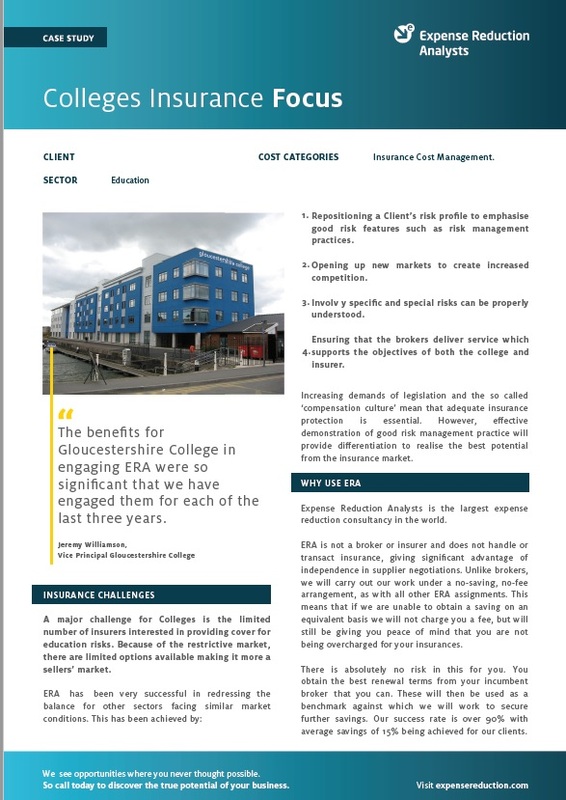 To find out more about how ERA helped Gloucestershire College of Art, including results, savings and more details from the client, download the full case study now.